Just over two decades ago, Dr. Bill Warren founded the Good Samaritan Health Center in a spare room of an Atlanta church. Dr. Warren radically followed God’s call to serve the city by providing affordable healthcare to those in need. In 1999, the first official Good Samaritan Health Center building opened its doors with a small staff of eight people and just a few volunteers. In 2009, after ten years of growth and service in downtown Atlanta, the Good Samaritan Health Center relocated to its current location at 1015 Donald Lee Hollowell Parkway. Here, a full-time staff of 40 and 400 volunteers work together to provide high quality medical, dental, mental health, specialty, and health education services to individuals and families in Atlanta that could not otherwise afford these services. Our campus contains a one-acre farm with a view of the Atlanta skyline. 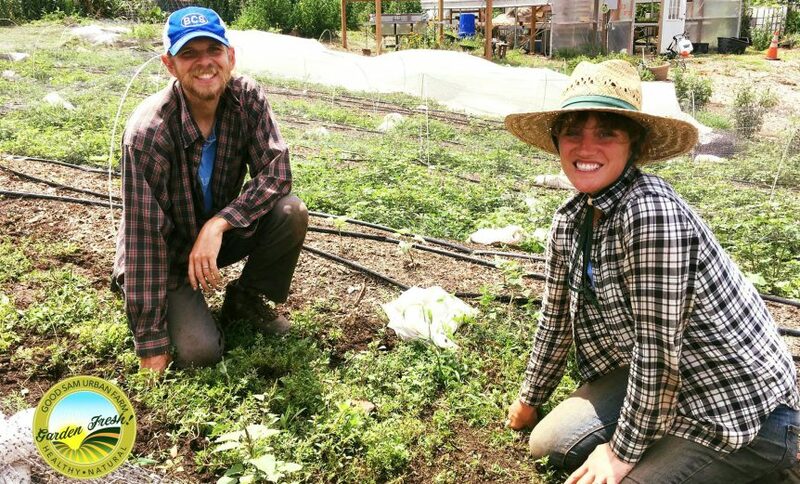 The Good Sam Urban Farm is run by a talented farm team, who grow and harvest a variety of vegetables and herbs. These fresh products are sold daily on site at the Good Sam Famers Market. Our Farm Manager is Cody Burnett, who comes to us from Roanoke Rapids, North Carolina. He attended North Carolina State University in Raleigh, NC. He received his undergraduate degree in Fisheries and Wildlife Sciences and his masters degree is in Natural Resource Management. Cody comes to Good Sam with 10 years of farm experience, which started with him growing Christmas Trees in his college town. He currently lives Clarkston with his wife Alison and their pet worms. Our Assistant Farm Manager is Nobie Ennis. Bio coming soon! Our Farmers Market Manager is Anthony Wilkes, from Atlanta, GA. Anthony received his undergraduate degree in Operational Management from Georgia Southern University in Statesboro, GA and his masters degree is in Healthcare Administration from AIU. His favorite market item is garlic because he loves using it in all his cooking!